Rampart House, right next to the international boundary between Canada and the United States, was home to several Gwich’in families and is visited regularly by Gwich’in living in Yukon and Alaska. This is a land rich in natural resources. Shallow water and a nearby eddy in the Porcupine River make this a good spot to set nets for migrating salmon. The Porcupine Caribou cross the river on their annual migrations to and from their breeding grounds on the north coast. Migrating birds, moose, lynx and martin are found nearby and an old trail led from here to Crow Flats, an important place to trap muskrats. Under the terms of the Vuntut Gwitchin land claim agreement, Rampart House is now co-owned and co-managed by the Vuntut Gwitchin First Nation and Yukon governments. The first fur traders at this site were employees of the Hudson’s Bay Company. The company moved from Fort Yukon after the United States purchased Alaska in 1867. Their second post, up the Porcupine River, was still inside American territory and so they moved again to occupy this site between 1890 and 1893. Dan Cadzow, an independent trader from New York, arrived in 1904 and eventually built these buildings when his business flourished between 1911 and 1922. He brought his goods up the Porcupine River and suffered from freight costs and competition from other traders. Local trappers sometimes took their furs to Fort Yukon where the prices were good and the American dollar was often worth more than Canadian money. The Royal Northwest Mounted Police first arrived here in 1911 during a possibly misdiagnosed epidemic of small pox. A detachment was established in 1913 to collect customs, act as the mining recorder and patrol and deliver mail to a far-flung populace. Two police officers were among the last residents of Rampart House in 1927. They depended on special Gwitchin constables like Thomas Njootli and John Moses who looked after the sled dogs and guided the patrols. The detachment moved to Old Crow in 1929. The Gwich’in moved all over this country, camping where they found food and fur-bearing animals. 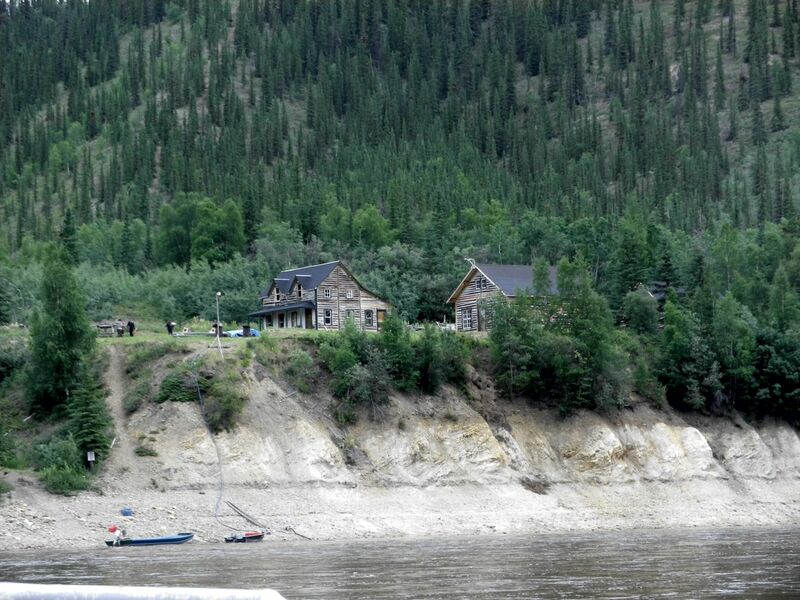 When the fur traders settled here the Gwich’in altered their travel patterns to include a stop at the trading post. Many eventually built more permanent homes. Traders brought innovations and technologies like steel traps, tents and candles and these were incorporated into the Gwich’in lifestyle. The Anglican missionaries from the Church Missionary Society were supported by protestant traders of the Hudson’s Bay Company and they gained many converts in the northern Yukon. Reverend Robert McDonald was a well-liked and talented linguist who visited the Gwich’in in their camps. He married a Gwich’in woman and trained First Nation catechists. One of these, Reverend Amos Njootli, ministered at Rampart House for many years. Ben Kassi was a catechist and worked for the church most of his life. St. Luke’s church was built during Reverend Njootli’s residence at Rampart House with the help of Archie Linklater, Old Bruce and other local people. The church congregation moved to Old Crow in 1921 and wood from the church roof was salvaged to build a new church at that location.